Finding reputable Packers and Movers company is a very hectic task. It requires a lot of searching and analyzing of the names and profiles of various relocation service providers. It consumes time as well. There are various websites available on the internet who can confuse you in seconds as you will find mixed information about the moving companies. In a situation like when you have no option to decide whether the moving company is good enough to handle all your shifting requirements or not, you will seek for the advice from your elders or neighbors. Will that suggestion work for you even if it worked for them? Would you like to risk the safety of your precious goods just to save your time? Probably not! If this is your answer then this blog is dedicated to you. To speed up your time in looking for the reputable Packers and Movers Near Me, we listed some useful tips that can make your choosing decision a little quick. These tips are useful when you contacted a company and asked them to provide a quotation. A reputable movers and packers company will send their executive to inspect your goods which you want to move. They will carefully judge the size and weight of the goods to give you the estimated cost of shifting. As you probably know that if the quantity of your goods is high then you will be required to pay more money as compared to the cost for less number of goods. It is very important to decide which type of relocation services you want. Reputed Packers and Movers in Delhi will tell you all these things right before you hire them for your relocation need. Do not give a large percentage of the estimated moving cost in advance. When you hire reputable movers and packers, they will definitely not going to ask you to pay more than 50% in advance. This fact can be used as a sign to decide whether the relocation company is suitable for your moving or not. There may be a chance that you might not be getting the type of shifting services that you expect from a packers movers company. Also if people pay advance payment more than they should do then probably they will not be refunded with a satisfactory amount. We advise you not to select packer and mover companies which keep on changing their brand name for several reasons. They lack trust and consistency in managing their organization in the market. We cannot trust a local shifting company who is not able to maintain their dignity and consistency in the market. Therefore it is advised not to choose any relocation company who appears to be one of these. These company can cause serious trouble for you tomorrow. There may be a chance that they are changing their brand names just because of this reason. It is better to stay away from these type of companies. 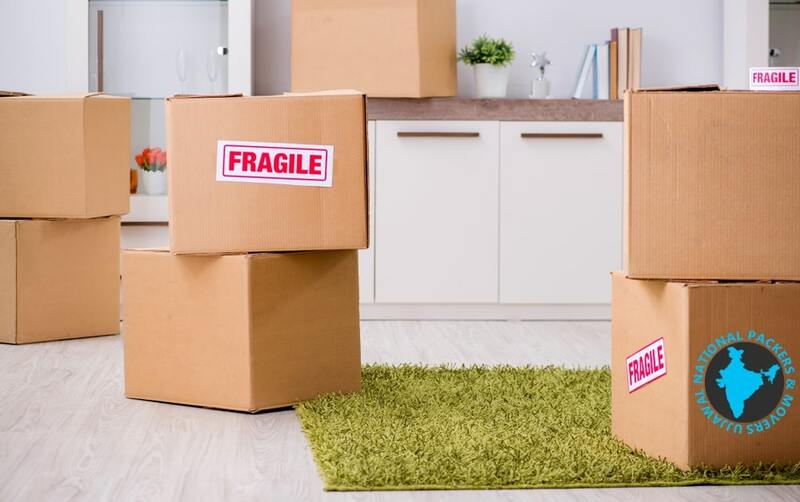 There are many moving companies in the market who use malpractices to earn little more money from customers by providing normal quality packing of goods and charging for high-quality packing. We advise you not to use unnecessary packaging materials and try to use them concisely. This can reduce the cost of shifting. All the reputed local Packers and Movers in Dwarka use advance strategy to save time and money. They have their own way of executing the relocating activities. There are some companies who use good quality packaging materials for packing your goods and some of them use normal quality. But reputed movers and packers will use packaging materials intelligently so as to save the cost and for maximum safety. How can you save yourself from getting cheated with packers and movers hidden charges trick? Well, you can ask for a detailed quotation based on your moving requirements and check if they included every expense or not. Expenses such as insurance charges, taxes, service charges, etc. A reputed packers and movers firm will never cheat you in the name of hidden charges. In fact, they do exactly what we told you in this blog. They will be providing you with a detailed quotation stating every single expense. The most common thing these days is that the packers and movers will ask you to sign a blank document in the name of the application for the insurance. Do not sign any blank document as it may lead you to experience trouble. If you hire reputed packers and movers for your moving requirement, they will never do this kind of stuff. These tips will boost your decision for choosing the right packers and movers for you. These tips were made by professional to help you with the selection of reputed packers and movers Delhi for your moving requirements.